Description: Fairytale Castle which was opened on March 9, 2014 is situated in Eskisehir Science Arts and Cultural Park. 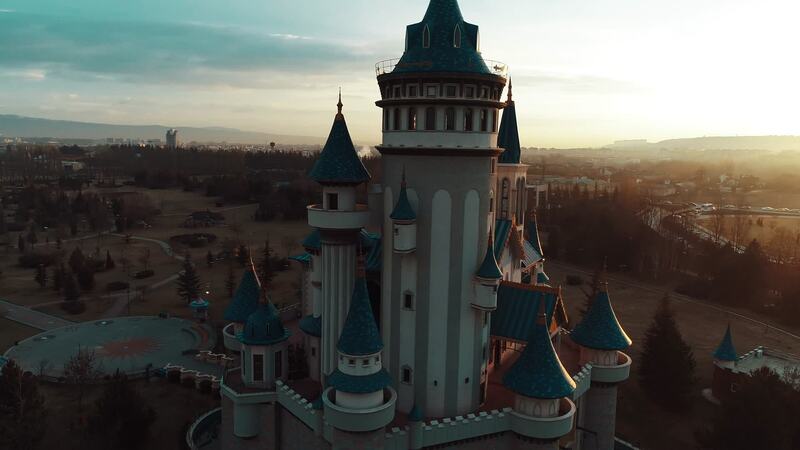 Fairytale Castle, whose optic and robotic themes of Dede Korkut, Nasrettin Hoca and Keloglan are provided by the Sabanci Foundation upon the conditional donation of Cimsa, has 26 towers, the highest being 50 metres in height. It consists of different areas like three dimensional animations of legendary characters, optic light representations and special living areas. Fairytale Castle is first of its kind in Turkey in bringing together the legendary characters and objects with the aim of contributing to the enrichment of children’s imagination. Children who have the possibility of living through the stories they read on books with the company of guides in Fairytale Castle can also listen to the stories of Dede Korkut, Nasrettin Hoca and Keloglan narrated by themselves.